Manage Tweets is an amazing App that allows you to significantly enhance your experience with Twitter. This App is the ultimate companion for your Twitter App. Manage Tweets has a gorgeous look with an intuitive interface that makes it super easy to use while packing in tons of features. 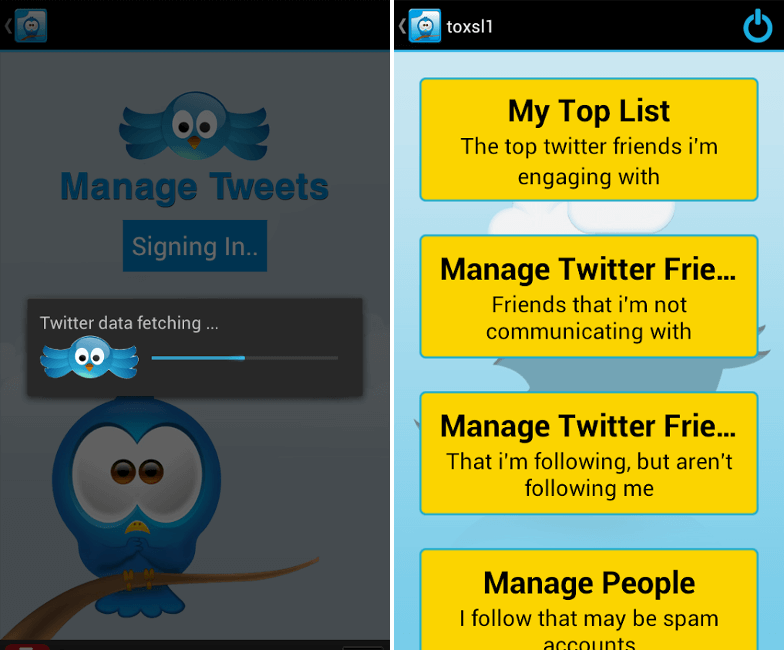 We ToXSL Technologies bring you an application that will make it easy to access Twitter straight from your home screen. All at one place without having to search for anything. Popular Tweets eliminates the hassle of following different Twitter accounts for the Best Tweets, instead it brings you all those tweets at your doorstep. This is the only app that allows you to make long tweets in a seamless manner, via the official Twitter Android app.